Manchester United return from their Champions League defeat at FC Basel on Wednesday night to entertain Brighton & Hove Albion at Old Trafford on Saturday afternoon. We start the weekend in second place, one point above Chelsea who travel to Liverpool, and three points above Tottenham Hotspur. Brighton have made an impressive start to their debut Premier League season, heading into Saturday’s game ninth in the Premier League having only conceded 13 goals in their first 12 games. Sergio Romero got a start in the Champions League midweek with the group virtually won but David de Gea will return in goal as normal on Saturday. The Spaniard conceded his first Premier League at Old Trafford this weekend in last weekend’s 4-1 thrashing of Newcastle United. Our captain was rested midweek but will return to play right-back this weekend. Antonio Valencia offers good width going forward but he’s one of the inaccurate crossers of the ball in the Premier League. Our rock at the back was rested midweek with a minor knock but Eric Bailly is expected to return to the starting lineup this weekend after missing last Saturday’s game too. Glenn Murray is Brighton’s target man up front and is in good form with four goals in his last four Premier League outings. Marcos Rojo made his return midweek and put in a good performance in Switzerland but two games in a week may be too much for the Argentine who had been out since the end of April. With Phil Jones injured Chris Smalling should get the start. The England international will return to the starting lineup this weekend after Daley Blind’s poor showing in the Champions League. Ashley Young will up against 37-year-old right-back Bruno when going forward. Expect Young to cut back on his right foot to get some good crosses into the box. The Serbian came on in the second half midweek and will return to the starting lineup this weekend. Nemanja Matic has been a key player for us this season and we should dominate both possession and territory this weekend. 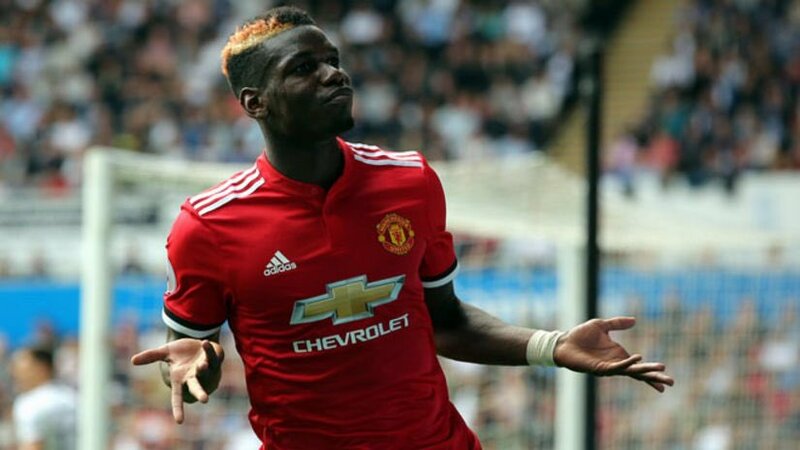 Paul Pogba returned from his hamstring injury last weekend and put in a man of the match performance with a goal and assist versus Newcastle. We dominated the first half against Basel before the French star looked tired in the second half and was taken off halfway through. The hosts then got on the front foot. I’m sure Pogba will be fit to start this weekend. Marcus Rashford has been excellent down the left for us this season but had a quiet first half down the opposite flank in the first half last weekend before being moved alongside Romelu Lukaku up front and having an excellent second half. 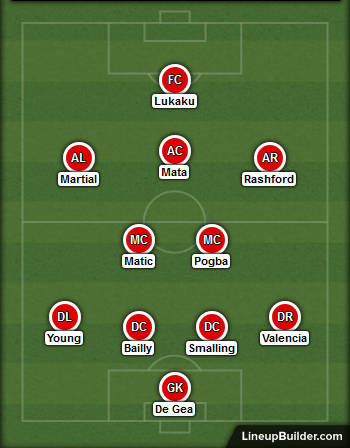 It’s possible we play a 4-4-2 this weekend but I think Jose Mourinho will give Rashford another start down the right to see if he can improve in an attempt to get this front three working well together. Henrikh Mkhitaryan is badly out of form so I think Juan Mata will start at number 10 again this weekend. Again, if it doesn’t work out in the opening half hour or first half then don’t be surprised if the Spaniard gets switched to the right wing where he has started the majority of his games under Jose Mourinho. Though he has started both games in a week following the international break I think Anthony Martial will remain in the starting lineup this weekend too. Down the left wing the French international should have fun up against the ageing Bruno in the Brighton defence. Martial loves running at defenders and certainly has the beating of the Portuguese full-back. Our striker ended his goal drought last weekend with a powerful finish after a fine one-two with Juan Mata. Zlatan Ibrahimovic has come on in each of our last two games but I would be surprised if Romelu Lukaku doesn’t start. Previous Article← Jose heaps praise on defender – could he start versus Brighton?